These Juicy Greek Lamb Burgers with Feta Cheese &Tzatziki Sauce mimics the big, bold Greek flavors of an authentic gyro sandwich! OPA! 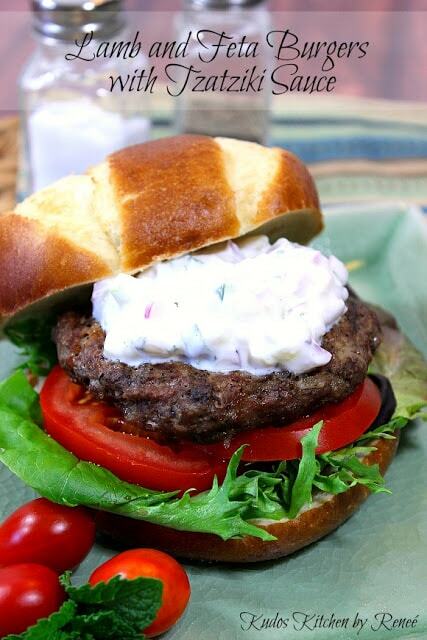 Juicy Greek Lamb Burgers with Feta Cheese and Tzatziki Sauce is one of my very favorite burgers, and I’m hoping it becomes a favorite of yours too. 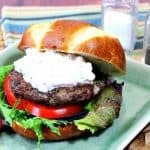 If you love the big, bold flavors of Greek cuisine, then make these burgers, and make these burgers soon! I’m not quite sure when (or how) it happened, but thankfully over the past few years he’s come to enjoy it almost as much as I do, and because of that, I can make these Juicy Greek Lamb Burgers with Feta Cheese & Tzatziki Sauce on a semi-regular dinnertime rotation. And for that, I am thankful! For the sauce: Greek yogurt, diced red onion, seeded and diced cucumber, chopped fresh mint, dried oregano, lemon zest, lemon juice, minced garlic, salt, and pepper. Combine all the tzatziki sauce ingredients in a medium bowl and mix well to combine. Chill until ready to use. To make the burgers: ground lamb, crumbled feta cheese, diced red onion, lemon zest, dried oregano, minced garlic, salt, and pepper. You can also garnish your burgers with sliced tomatoes, and lettuce if desired. The full printable recipe can be found below. 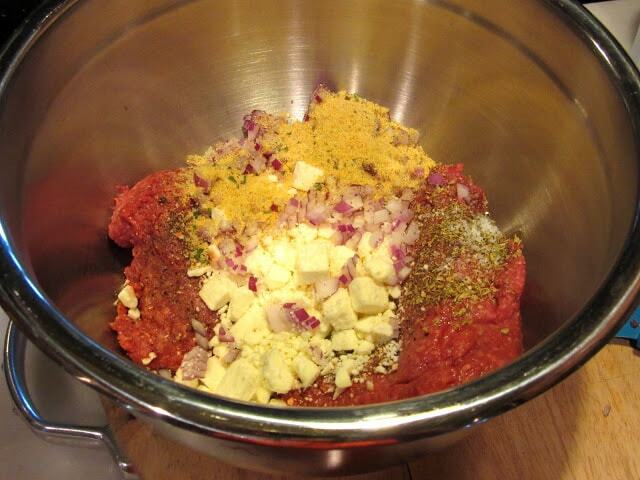 In a large bowl, mix the ground lamb, feta, red onion, lemon zest, dried oregano, garlic, salt, and pepper. Form the prepared Greek lamb burger meat into 5″ round patties and grill on an outdoor grill, or inside in a skillet, or even on an indoor grill pan for 5-6 minutes per side, or until your desired doneness. 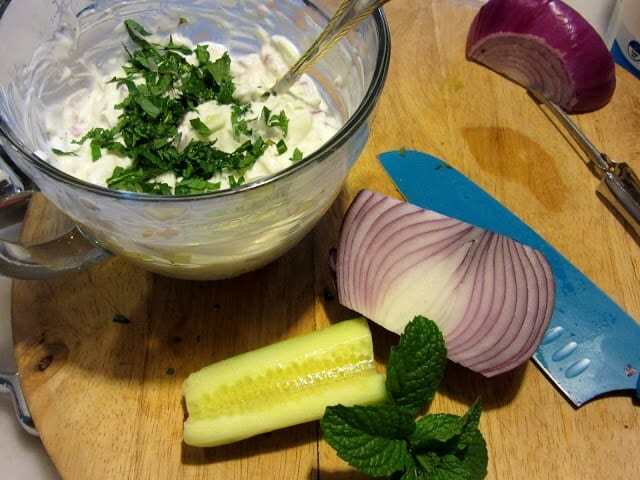 Add the Greek yogurt, ¼ cup diced red onion, chopped mint, chopped cucumber, 1 minced garlic, and 1 teaspoon lemon zest in a medium bowl and mix well. In a large bowl, combine the ground lamb, remaining red onion, feta, remaining lemon zest, oregano, remaining garlic, salt, and pepper until well mixed. 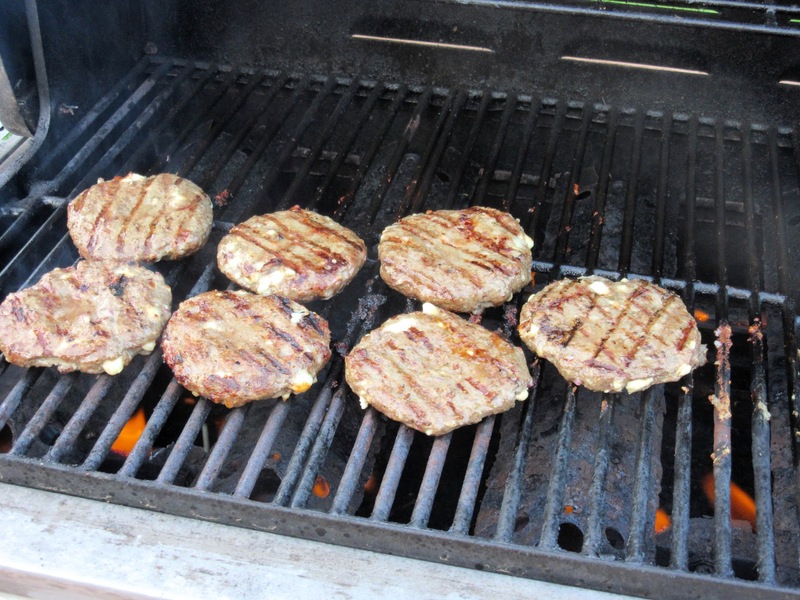 Form the meat mixture into 6 even sized patties and grill for 5-6 minutes per side, or until your desired doneness. 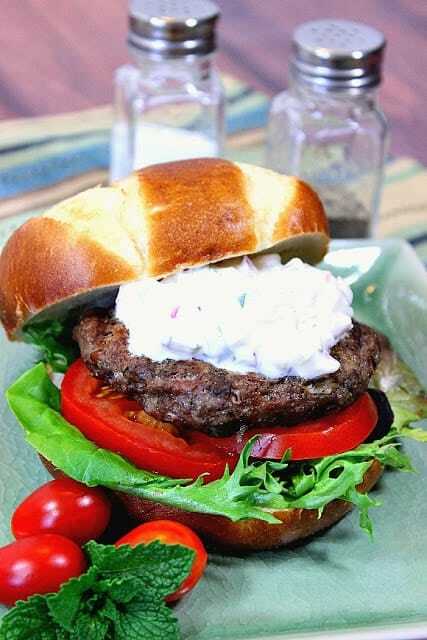 Serve the Greek Lamb Burgers on buns along with the chilled tzatziki sauce, sliced tomatoes, and lettuce (if desired). I hope you’ve enjoyed this recipe for Juicy Greek Lamb Burgers with Feta Cheese & Tzatziki Sauce as much as I’ve enjoyed bringing it to you! Should you have any questions regarding this recipe for Greek Lamb Burgers, or anything else you’ve seen on my site, please don’t hesitate to contact me directly, or leave me a comment in the comment section below. It is always my distinct pleasure to get back to you with a reply just as soon as I possibly can! I happen to also love the big flavors of Greek cuisine! Delicious burgers!! I love the sauce on these burgers and I love lamb! This recipe is reminding me that we haven't been experimenting enough with lamb and other meats for our grilled burgers. Can't wait to try this – it sounds fantastic! Yes! I love burgers like this but I haven't made them in ages. Thanks for the inspiration. You went all ethnic with these burgers. Great, great, great! Yes! Lamb burgers are my favorite and they have such a delicious flavor. 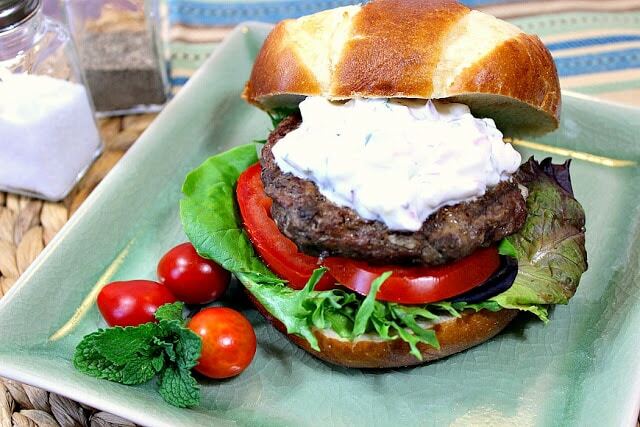 Plus who doesn't love a burger topped with tzatziki…yum! I can’t wait to try this burger! I know you’ll enjoy it, Wilhelmina! Such a great juicy burger! 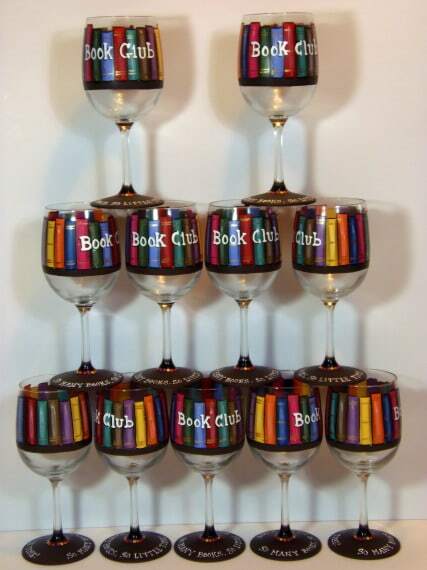 They were a big hit at our BBQ over the weekend. Everyone loved the tzatziki and raved about lamb on the BBQ. So much flavour and so tender and juicy!